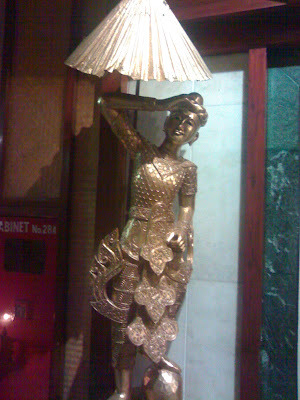 This is metal statue that caught my fancy at the Chinese restaurant- Woks, at the Intercontinental Hotel, Barakhambha Road, New Delhi. The restaurant is at the 28th floor of the five-star and gives a great view of the whole city from the windows. But incessant rains hindered my taking pics of the city lights. No worries next time.